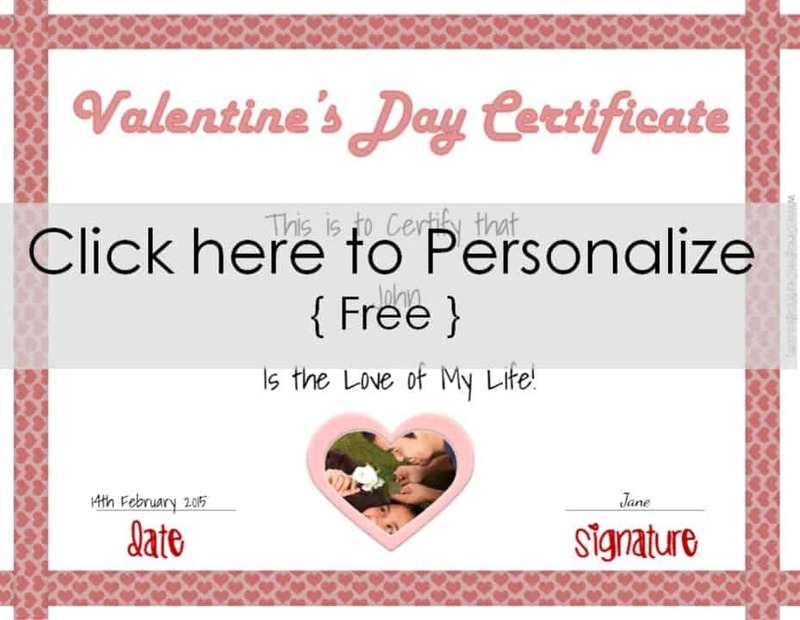 We offer a selection of free printable Valentine’s Day certificates which can be given to your Valentine to let him or her know how you feel. 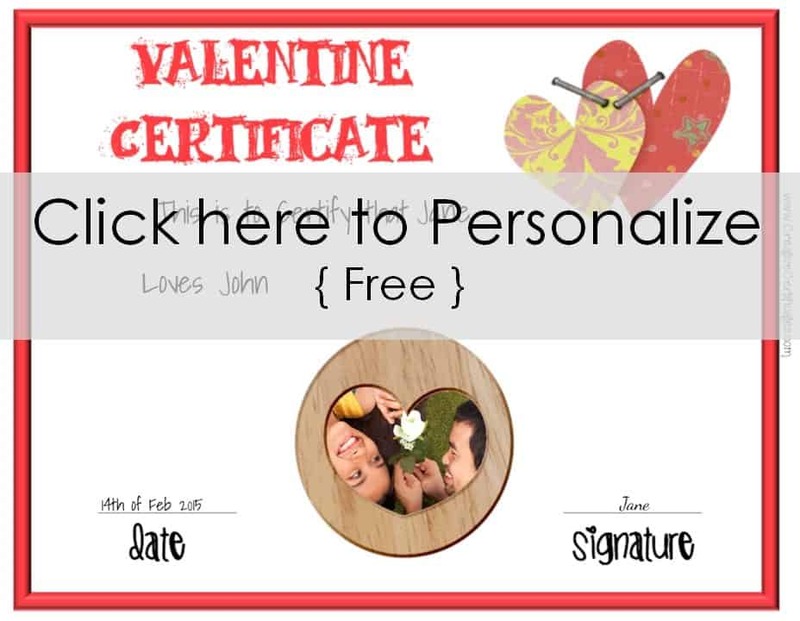 Use our free gift certificate maker to add a photo and your own text to personalize the gift certificates. 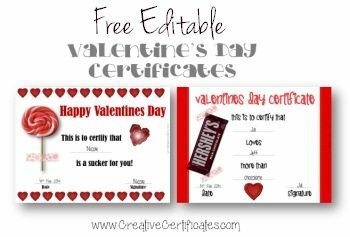 If you are looking for a gift certificate for Valentines Day then check out our selection of free printable Valentine’s Day Gift Certificates. 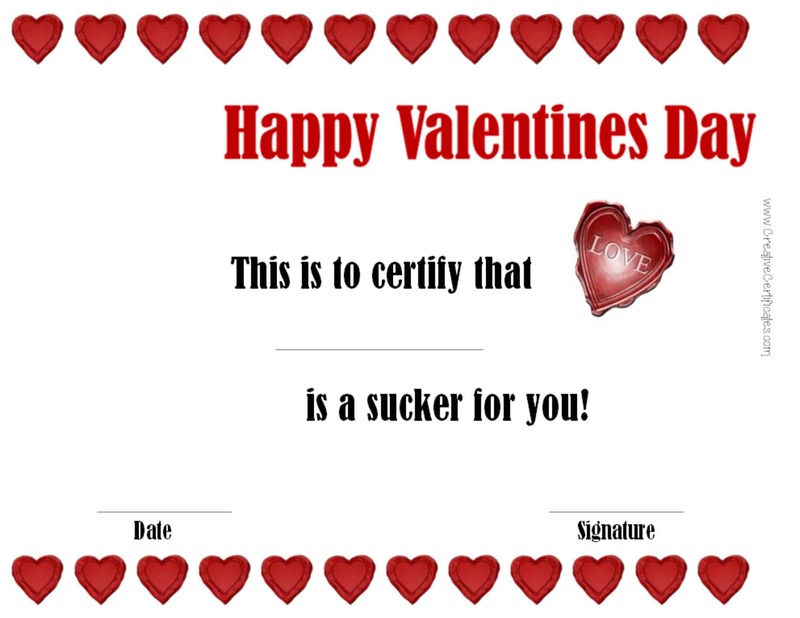 Attach a sucker (lollipop) to this certificate to let your valentine know that you are a sucker for him / her. Wording: Happy Valentine’s Day – This is to certify that _ is a sucker for you! Fill in whatever you feel is appropriate and attach a sample of it. I personally think that loving someone more than chocolate is the love! If you agree then attach a chocolate bar. If you are addicted to something other than chocolate then adapt your certificate accordingly! Looking for ideas? Coffee beans (for coffee addicts), candy bars, books (with a gift voucher from a book store), etc. 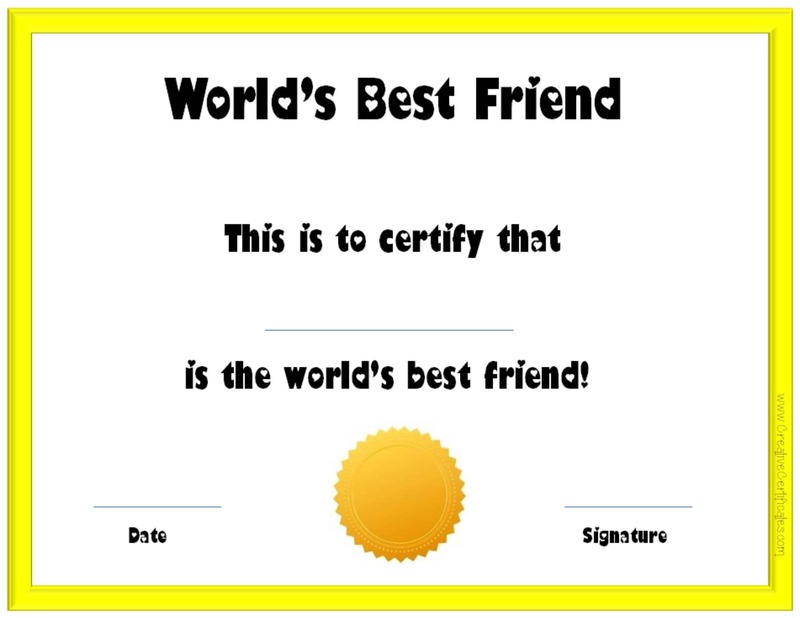 Wording: Valentine’s Day Certificate – This is to certify that _ loves _ more than _ . 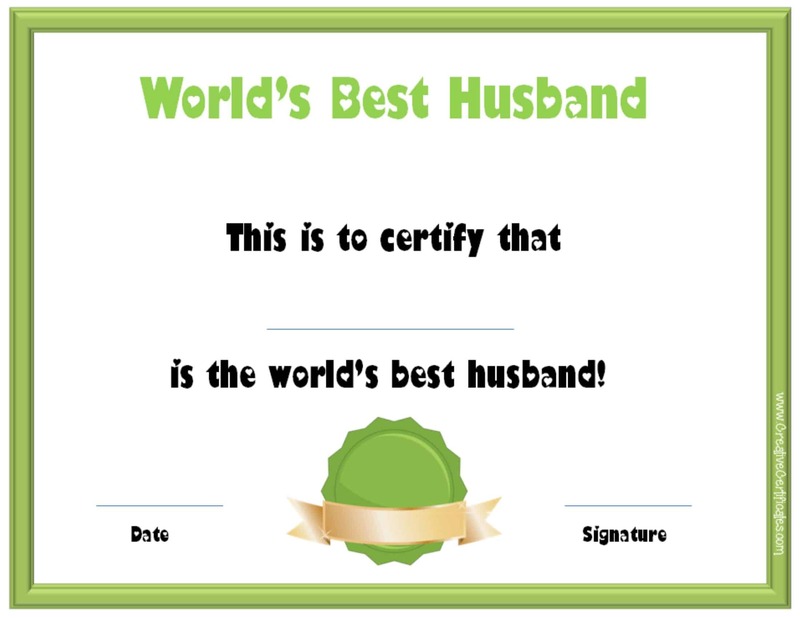 If your Valentine is the love of your life then let him or her know with this Valentine award. 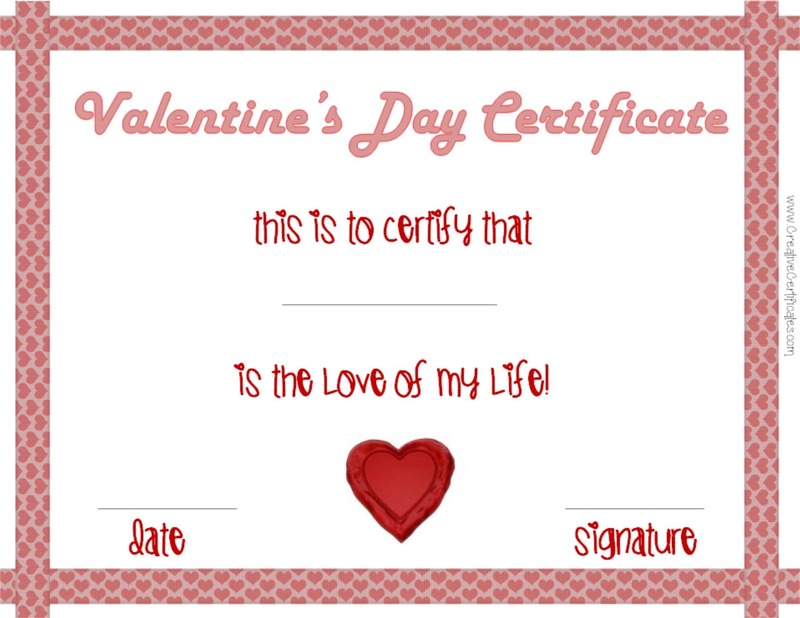 Wording: Valentine’s Day Certificate – This is to certify that _ is the love of my life! date _ signature _ .
Personalize this Valentine’s card with your own photo and your own text. Customize the text or write whatever you want instead. 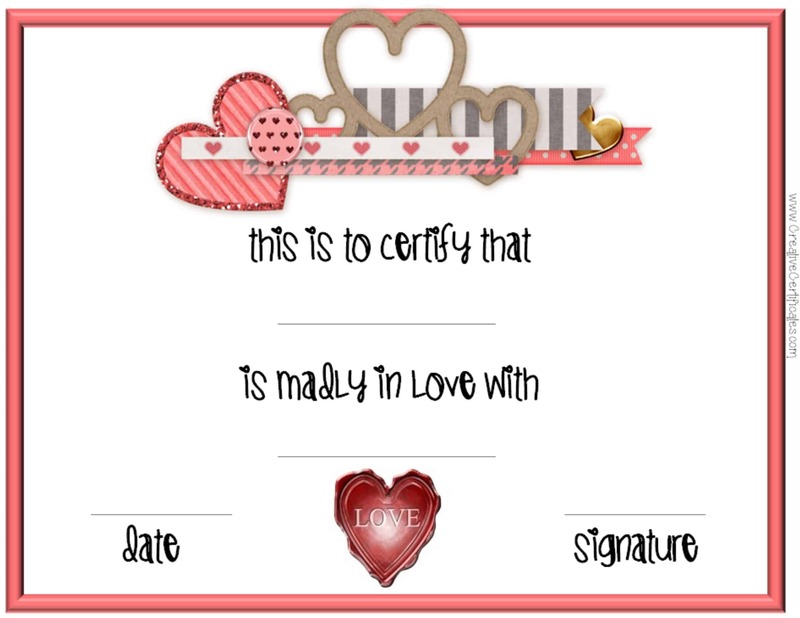 If you are madly in love with your valentine then this certificate is perfect for you! Wording: This is to certify that _ is madly in love with _ date _ signature _ . Description: White background with a pink border and heart-shaped embellishments and ribbons. Add your own photo and customize the text. 100% Customizable! 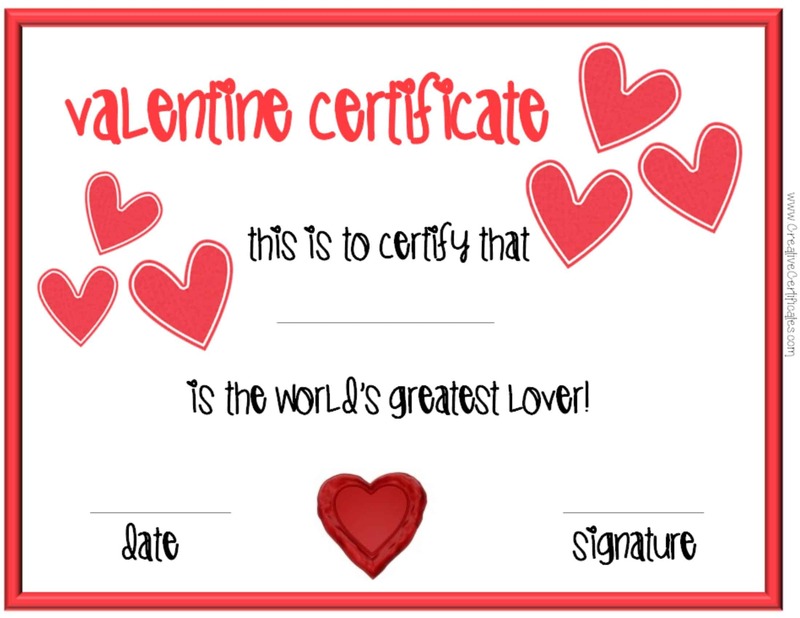 This is a Valentine Certificate template to certify that you love your valentine! Wording: This is to certify that _ loves _ date _ signature _ . Description: White background with a red border and two hearts stapled together. Add your own photo and customize the text. You can change the text and write your own or just personalize it. If your Valentine is the world’s greatest lover then let him or her know! Wording: This is to certify that _ is the world’s greatest lover _ date _ signature _ . Add your own photo and customize the text. 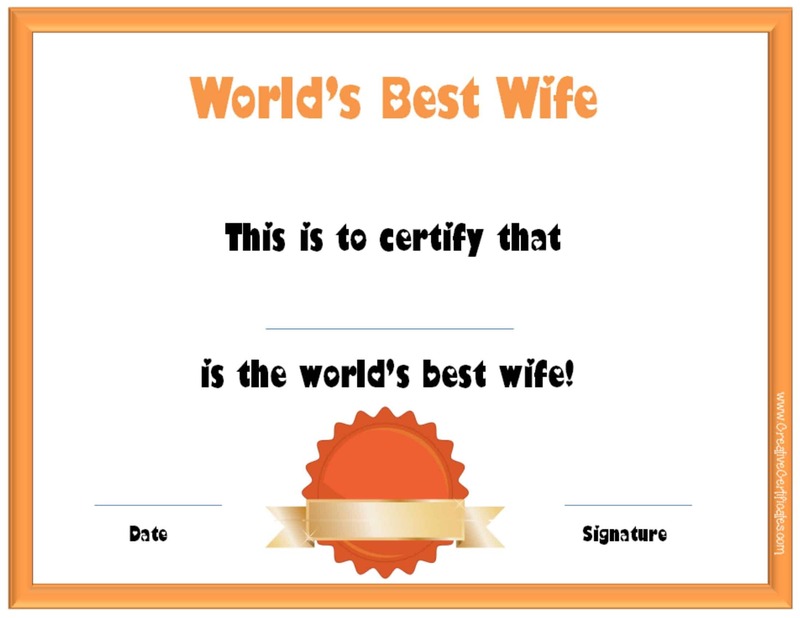 The certificate is for the World’s Greatest Lover but you can change the text if you prefer!